View your projects in a Gantt Chart timeline (available in the Professional Edition only). 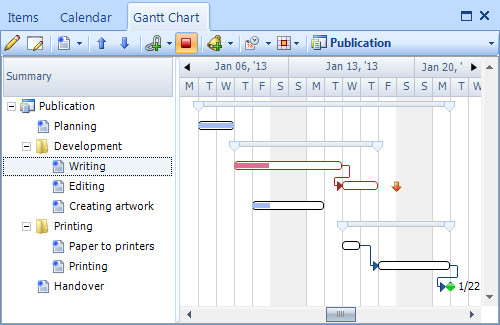 For information on how to use the Gantt Chart, see the What's New in Version 5? page.